André Rieu is back in Germany with a brand new show! 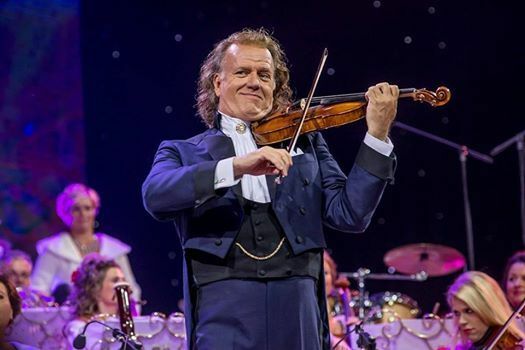 Together with his 60-piece Johann Strauss Orchestra and many soloist André Rieu will give you what you’ve come to expect from his performances: the maestro conducting his 60-piece Johann Strauss Orchestra and playing his world-famous Stradivarius violin to create a colourful concert full of surprises. The repertoire ranges from romantic, emotional ballads to the most gorgeous and celebrated waltzes.